Dave and I LOVE pie — all types of pie. 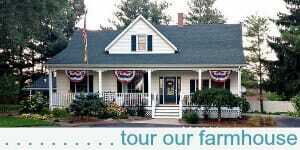 Cream pies, fruit pies, savory pies, sweet pies, meat and potato pies, chocolate pies, etc. 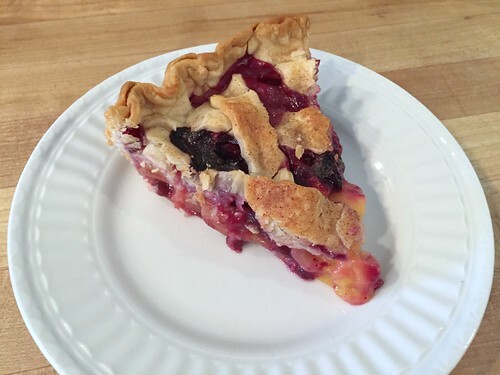 However, our favorite type of pie is fruit pies — and we like almost all fruit pies! Fortunately for Dave, I really enjoy making pies, too. 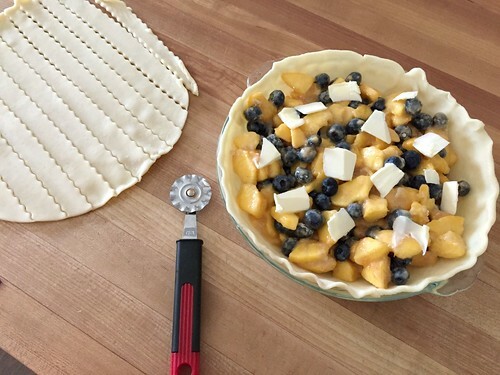 I love using my little dough cutter to cut lattice strips for the crust, I love playing with different flavors and ingredients, and I love trying new combinations of in-season fruit. 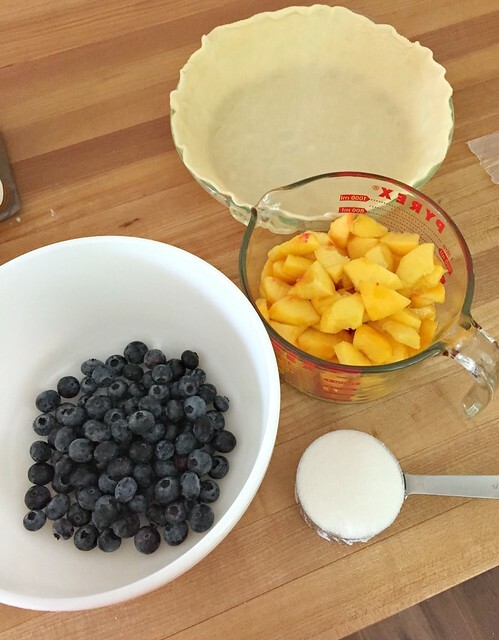 Blueberry + peach is one of our favorite pie combinations — but I usually only make it in August (and maybe September) because that’s when both fruits are ripe here in West Michigan. Simply compile 5-ish cups of your favorite “pie fruit”, add some sugar, flour, and maybe a few seasonings, bake it until the crust is golden brown, and serve it with ice cream or whipped cream. The most time-consuming part is simply cutting up all the fruit — but since half this pie is blueberries, there’s not nearly as much peeling, slicing, or dicing. 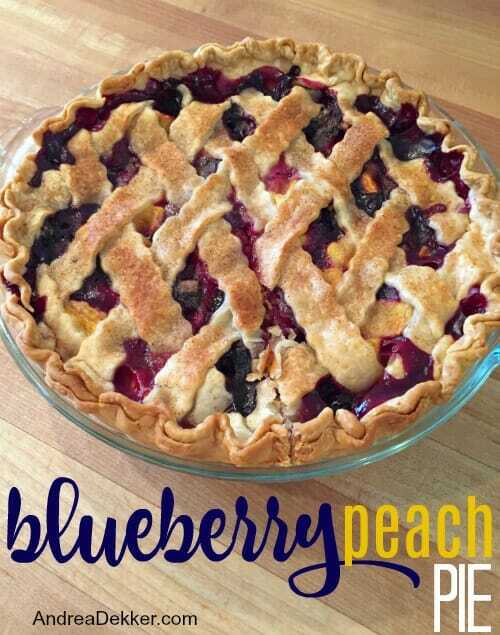 If you’re looking for a new dessert for your family or for an upcoming party, this blueberry peach pie will surely be a hit! Preheat oven to 400ºF. Place bottom crust into a 9″ pie pan. 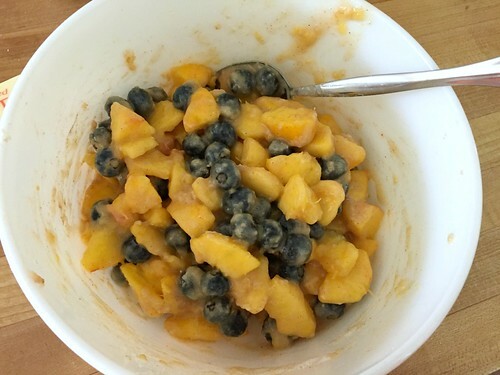 In a large bowl, mix blueberries and sliced peaches. Stir in sugar, flour, and cinnamon until all fruit is evenly coated. Pour filling into bottom crust. Dot the top of the fruit with thin shavings of butter and place the top crust over the fruit (if not using a lattice crust, you’ll want to cut several slits in the top crust to let the steam vent). Crimp the edges of the crust, brush the top crust with a little milk (optional) to give it a golden brown color, and sprinkle with cinnamon sugar (optional). Bake in preheated oven for 20 minutes. Leave the pie in the oven and reduce heat to 375ºF. Continue baking for another 35 minutes. 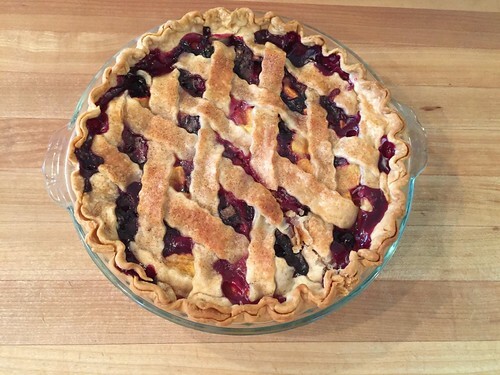 Let cool for 2-4 hours at room temperature before serving — otherwise your pie will be a soupy mess! So like I said — this pie tastes absolutely AMAZING, and it doesn’t look half bad either! What are your favorite fruit pie combos? 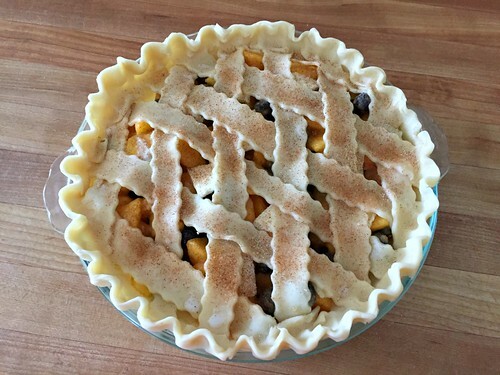 My husband has been begging me to bake a peach pie and your recipe popped in my in-box so I used your recipe and just used all peaches – super easy and a HUGE hit! 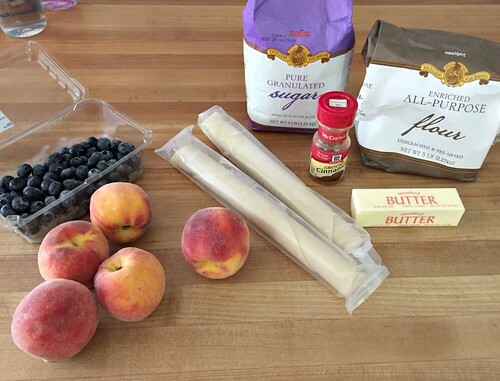 Next time we will try with both the peaches and blueberries! yay!! so glad you liked the recipe — it’s a good one! Andrea- do you know the peach peeling trick? 30 seconds in boiling water then plunge into ice bath until cooled. The skin will rub right off of your peaches & you don’t lose any of the yummy fruit. 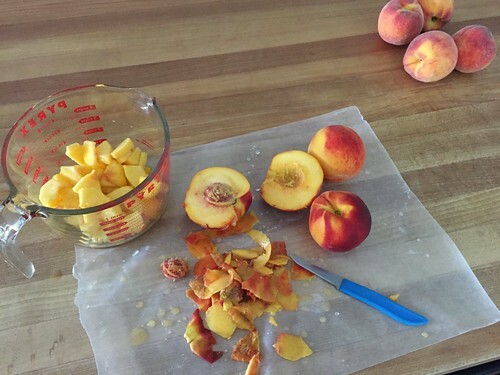 It’s my favorite tip for when we freeze peaches! yup, this is how I can all my peaches too — the skins just slip right off. however, when I’m just peeling a few peaches for a pie or to eat, I just rub them between my hands under hot water and it basically has the same effect, just A LOT faster! I did not know this trick! I use it for tomatoes and boiled eggs but never for peaches. Peach pie is my favorite. 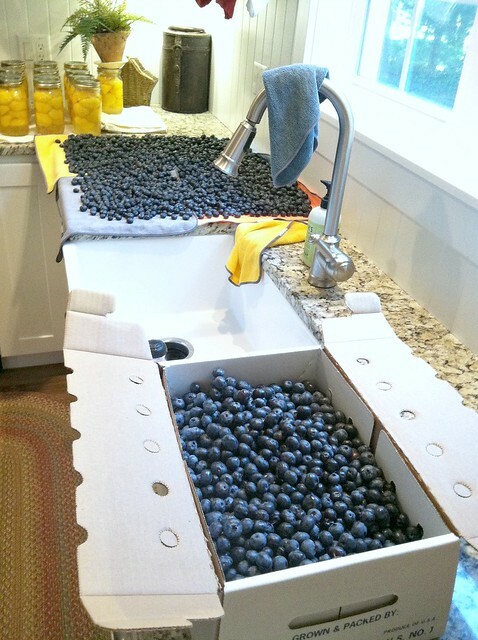 I’ve never tried it with blueberries. Thanks for the tip and recipe. well you learned something new! Good for you! 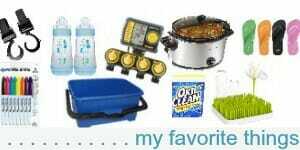 You are amazing with all your awesome recipes. Thanks again ! I made homemade crust and blackberry pie last week and it was AMAZING!!! my husband and son both gobbled it up!!! Looks yummy! 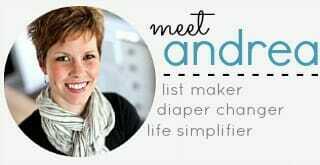 Andrea – is that puff pastry or short crust? It’ just the refrigerated crust you can buy in the refrigerated section (by the refrigerated cookie dough, biscuits, cinnamon rolls, etc. Pillsbury would be the national brand, but there are often store brands too. You never mentioned this when talking about in season fruit but I freeze my apple pies every fall and then pull them out and bake them at Thanksgiving and Christmas. They turn out great every time! 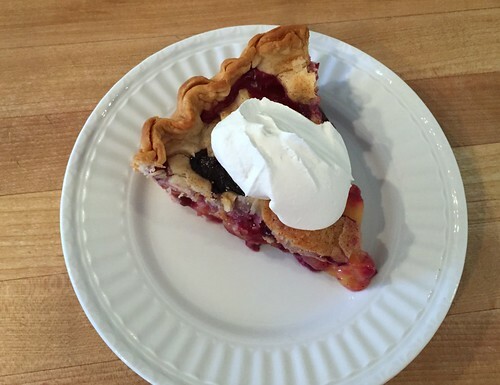 Straight from freezer to oven and you can have yummy fruit pies all year. yeah, we don’t have room in our freezer for frozen pies (too much other food!) so I can pie filling and then just dump the filling into the crust when I’m ready to bake it. It only takes about 2 minutes to crimp the crust and then it’s ready for the oven! My favorite pie is a Fruits of the Forest pie. It has apples, strawberries, rhubarb, raspberries and blueberries. Your recipe would be fine with the addition of some lemon juice sprinkled on before the upper crust. THAT would be my recipe for Bumble Berry Pie — it’s amazing! Also, I never use lemon juice in any of my pies. I don’t like any extra liquid and I really don’t think it changes the taste in any way (in my opinion). 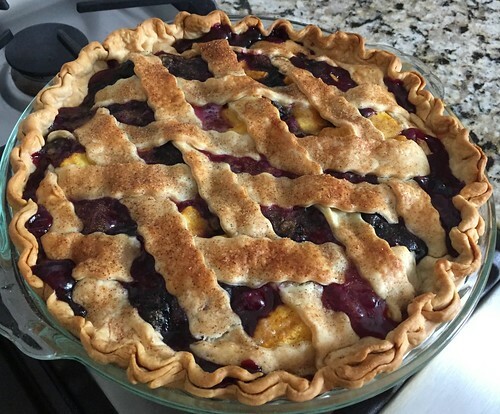 What type of pie cutting tool do you use to make the lattice strips for the top? I believe I showed a picture of it in the post — with the crust. It’s just a basic pastry wheel.